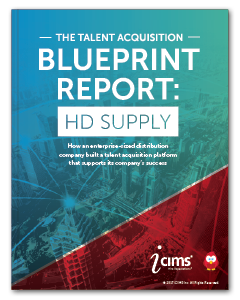 This report, developed by iCIMS (a SkillSurvey partner) profiles HD Supply’s unique hiring challenges as an enterprise company and how the iCIMS UNIFi program – which includes an integration with SkillSurvey Reference® – helps them succeed. By leveraging SkillSurvey Reference for all salaried and hourly sales associates, HD Supply can empower their hiring managers to make more informed hiring decisions by obtaining insights from 3-5 references in less time. Learn more and read about their success by downloading this Talent Acquisition Blueprint Report.